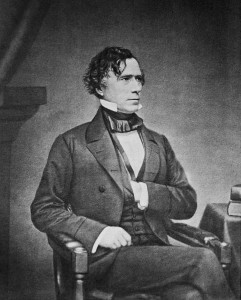 Pierce was elected president in 1852 on the Democratic ticket and served through 1857. He proved a weak chief executive, who evaded the difficult issues surrounding slavery. This contributed to the nation’s inexorable drift toward civil war.